Why is this platform so popular? Its blend of images and microblogs provides the perfect combination in today’s fast-paced, visual world. Personally, I like Instagram for many reasons. It’s a pleasure to follow a curated photo feed where, along with the engaging images and captions, the user is successfully telling a story. Along the way, I’ve learned that what and when you post matter. Remember, the feed incorporates individual images, as well as a grid of image thumbnails. Therefore, the result of a well thought out, or curated, feed is a grid, which on Instagram is three horizontal pictures, and three to five vertical images, creating a compelling composition. I’m always surprised at how many organizations and companies have no consistent short- or long-term plan for their Instagram feeds; they haven’t thought about what they want to say to their followers, and have not set goals for the platform. This is a platform where consistency and quality count. A common pitfall for companies is to post mediocre images—sometimes from multiple digital photographers with different visions—without developing a consistent plan for what they are going to convey to their followers. To help drive better results for your Instagram page, consider these strategies. I call them the three “C’s” of creating a brand-enhancing Instagram feed: Consistent Style, Consistent Image, and Consistent Timing. Focus on the quality of your social media message. We always like to use the same or similar filters and editing tools to keep the feeling of our feed consistent. The Ludwig and Juno filters are two of our favorite Instagram editing tools. Do “break the feed” if you believe posting something a little different than what you normally post will still be relevant to your followers. Instagram feeds that maintain strict consistency can be quite visually powerful, but inserting the occasional “different” photo can not only break the monotony, but also can be the catalyst for tightening and bringing out consistency in an artful, spontaneous, yet well thought out, way that moves your story forward. With that said, avoid the occasional temptation to “go rogue with the feed” and suddenly stop posting brand-building content that’s producing high engagement and, for instance, switch to sports posts. My favorite brand feed for consistent style is from Blue Bell Ice Cream. Create a single voice to protect the feed from seeming incongruent and haphazard. Instagram’s own feed @Instagram maintains a singular and recognizable voice despite having multiple people work on it every day. There is a natural flow and ease to their posts as they tell stories in a conversational manner, using a sentence structure that has a simple ebb and flow that is positive, humble, and always non-threatening and non-controversial. 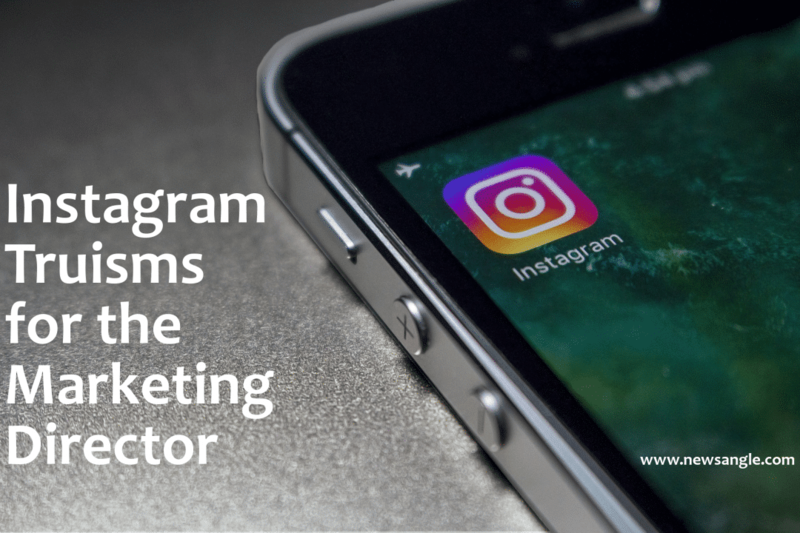 Remember, Instgram’s mission is to capture and share the world’s moments–it’s a good idea to establish parameters for posting categories to keep your business message consistent. In addition, tell a captivating and engaging story to give an authentic feel to those who are following you. It is vital to create a consistent and captivating vision to engage and encourage followers to comment on your Instagram posts. In addition to Instagram, my favorite brand feed for consistent image is from Ocean Spray. They say time has a way of showing us what really matters. Establishing a consistent timing for your Instagram feed will boost your images’ visibility. Use a grid preview app to curate your feed and create an engaging grid that entertains the eye. For example, we like to use the Instagram planner app Preview to plan our clients’ feeds in advance. Build photo decks of 30 images each to create a compelling composition and establish a vibrant feed. All the photos in the deck should be edited to assure the images support the visual brand identity. Once the images are captured and edited, place them in the grid using the app before creating a strategic content calendar. Captions can be written in advance and posted at the same time as the image. Identify branded hashtags, and search for active hashtags by clicking on the magnifying glass at the bottom of the screen. Don’t spam your followers by posting multiple images at once, or throughout the day. Today’s top brands post an average of 4.9 times per week on Instagram. Although posting regularly is important, posting too soon just pushes a post down and shortens its life. If the current feed is a jumble of unconnected images, you’ll need to slowly and methodically change the mixture so as not to shock your followers and drive them away. My favorite brand feed for consistent timing is from California Donuts. Instagram is a marvelous platform that offers a unique opportunity to tell your story, every single day. For more Instagram tips, visit our blog. Or contact us for help with your social media strategy.